For an additional period of 6 months. You have made an excellent choice by purchasing a Var-Spe product. Would you like to have maximum protection for your new variator? 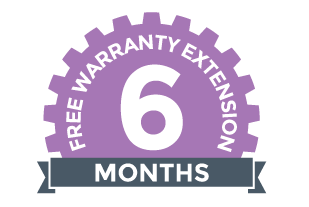 Var-Spe offers you a free additional 6-month warranty extension. All you need to do is fill out the form (see link below) before the standard warranty expires. Once it checks the conformity of the request, Var-Spe will send you the pdf of the warranty extension certificate to the e-mail address specified in the form. You need to fill out all the required fields.